New light fixtures can completely transform a space. No renovation is complete without them, and even minor changes to your lighting can have a significant impact. From chandeliers in the bedroom to modern pendant lights in the kitchen, contemporary light fixtures can add a renewed sense of elegance to your home. If you have been sitting under the harsh glow of fluorescent lights, you may be tempted to rip everything out all at once and start over. Not only is that light not flattering, but it can add a feeling reminiscent of the workplace (or even institutional settings) that you don’t want in your living room or bedroom. There is no doubt that lighting can instantly change the mood of a room, but making a plan to determine what atmosphere you want to create is a crucial first step in any remodel or redecoration. When people think of upscale settings, their minds often turn toward chandeliers. From palace halls to whimsical backyard dinner parties, the right chandelier can strike an elegant note. However, many see chandeliers as being too traditional for a modern home. The good news is that today’s chandeliers may be among the contemporary light fixtures you have been seeking. Can chandeliers work in the kitchen? According to Martha Stewart Living, contemporary pieces can work anywhere in the house. To brighten the space, particularly in the evening hours when natural light is not available, the editors love adding “an alluring glow to the kitchen with the help of a statement-making modern chandelier with crystalline accents.” From there, you can bring in additional, subtle illumination from recessed overhead lights. 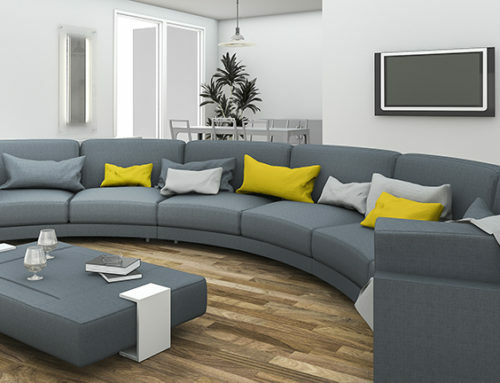 Do you have a masculine-feeling living room or library that you would like to soften? Murano glass chandeliers and slightly softer seating can make all the difference. Don’t be afraid of trying style opposites. You might be surprised how well they work together to find a balance. Do you have soaring ceilings and stunning moldings that you would like to highlight without making the space feel too traditional? Consider adding an oversized contemporary chandelier in the middle of the space. The sparkling light will naturally draw the eye upward, allowing you to showcase some of your room’s best architectural features. The same is true if you want to highlight a particular piece of artwork. 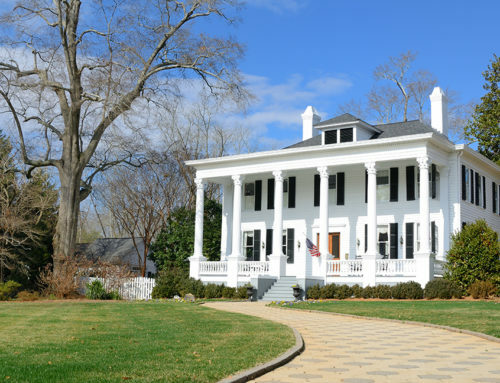 The editors at Traditional Home point to a recent redesign by Jamie Herzlinger. According to the magazine, the dining room area of her home “prominently features a large reverse-glass painting by Jean de Merry…. A Murano glass chandelier hangs above the dining table.” The light shines off the painting for a brilliant effect. 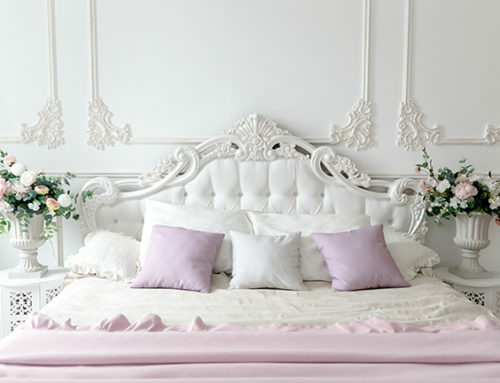 Does your bedroom have paintings with vibrant pops of color? The right contemporary light fixture, like a stunning chandelier, can make the colors even more vivid. From the contemporary pieces to the most futuristic designs, chandeliers are also becoming more environmentally friendly. Just because the piece feels undeniably elegant doesn’t mean that it can’t be an energy saver. Contemporary pendant lights come in an amazing array of shapes and sizes, but every piece has one thing in common: they create a warm, inviting environment no matter where you incorporate them in your home. 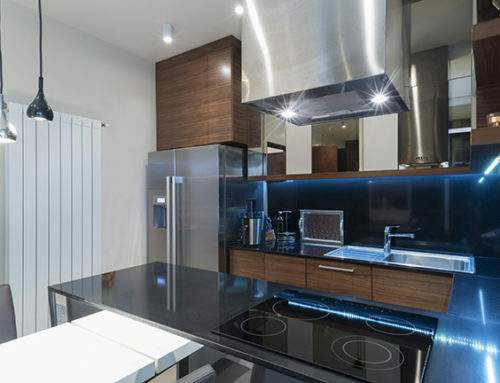 Designers first began to use these dazzling light fixtures in kitchens. Martha Stewart Living calls out a number of pieces, including the pendant orb. Why? “A matte pendant orb fixture casts cool light over the kitchen while adhering to the design’s vintage-meets-modern aesthetic. The spherical shape of the fixture allows for more diffuse illumination.” If you have high kitchen ceilings, hanging pendant lights are incredibly popular over farmhouse sinks, kitchen islands and wherever else you need the warm glow of additional lighting. Are the floor lamps in your living room not creating the atmosphere you hoped for when you placed them? Consider installing pendant lights over conversation areas, bar carts or reading nooks. Contemporary pendant light fixtures can even serve as focal points when placed at the center of rooms. Bedrooms can be enhanced with modern globe pendant lights, and bathrooms, particularly those that feature a lot of reflective materials, shine with the addition of custom, glass pendants. Three-light pendants can bring a touch of elegance to your entryway without looking too ornate for the space. A dining room can be infused with an inviting radiance when a multi-light pendant is placed over the table. 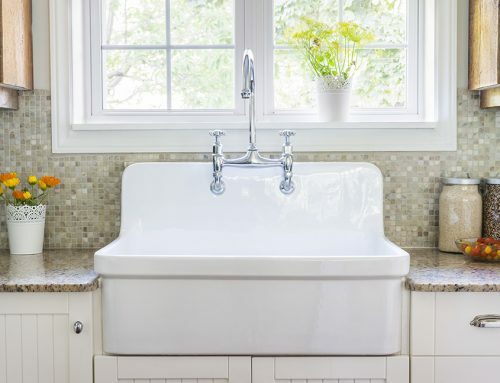 From marble to glass to wooden fixtures, you’ll love the transformation of your room. Sconces have a strong association with centuries past, so you may be surprised to find that designers are creating delightfully contemporary light fixtures. Sconces are a terrific opportunity to layer your lighting scheme. Updated versions can bring softer illumination to rooms, and if you are going for something a little funky, don’t be afraid to employ those Edison bulbs. Sconces are terrific for ensuring light flow without installing a lot of overhead, recessed lighting. Do you have long, windowless hallways? Contemporary sconces are the perfect way to bring updated lighting to long spaces. Do you have a traditional fireplace? Contemporary wall sconces placed on either side are an easy way not only to add light to your room, but to update the fireplace visually without an expensive remodel. Metal sconces with branch-like or other “nature” detailing can draw the eye to your bedroom walls and act as a complement to your bed design, upholstered walls or mirror-like furnishings. Plus, you’ll love having such unique lighting by your bedside. Do you have a small bathroom vanity in dire need of illumination? Try placing wall sconces made out of the same metallic finish as your drawer pulls on either side of the vanity (or framing the mirror). Picture a copper basin in a gleaming white vanity with copper drawer pulls and copper sconces. You’ll be amazed at how the space will go from utilitarian to pulled together and stylish. 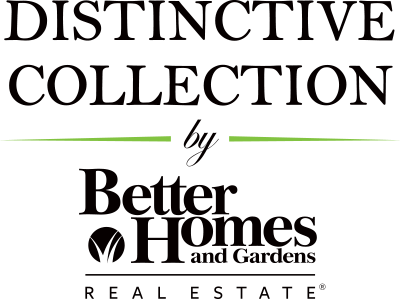 Visit Distinctive Collection by Better Homes and Gardens® Real Estate when you begin your journey to buy or sell your unique home.